This class is for beginners who have never knitted or feel the need for a review. Learn to make a small project such as a hat. Learn to read patterns. Samples in shoppe. Perfect your crochet skills from a basic level to advanced. Especially learn to sew correct seams for a very professional look to your item. Samples in shoppe. Call the shoppe to sign up interest in this class and we will set up dates as soon as we have 3 sign ups. 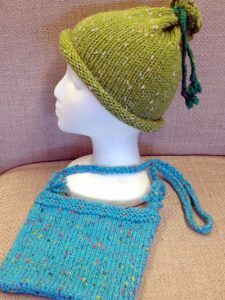 Beginners, age 8 and up, make a hat, scarf or a purse. Advanced kids can choose their own project. Instructor is happy to help you choose patterns and yarn. Work on any project or start a new one. All levels of skills welcome. Work on any project, start a new one or complete one that needs finishing.